Is Your Financial Planner a Real Expert? How do you determine if your financial planner is a real expert or a sales representative masquerading as a financial planner to sell you investment and insurance products? Everyone needs a financial plan. So, thousands of stockbrokers and insurance agents claim to be planners to reduce your sales resistance. That’s because they know most people do not want salesmen investing their assets. Also, they can buy planning software that recommends the purchase of investment and insurance products for them – a much easier sale. They also know people are less likely to question product recommendations that are included in their financial plans. Unfortunately, there is no easy way to determine who the real financial planners are. It is not like they have track records that document what percentage of their clients achieved their financial goals when they followed the planner’s advice. There are also no testing or licensing requirements for financial planners. The bottom-line is anyone, qualified or not, can call himself a planner, which creates a major financial risk for you. Following are a few tips that will help you determine the quality of financial planners. You should limit your selection to financial planners who voluntarily provide documentation for their: Education, experience, certifications, compliance record, method of compensation, planning services, and other sources of knowledge. Ask the planner to provide a sample financial plan that he produced in the past 12 months for a client with your characteristics: Income, net worth, risk tolerance, age, work status, goals, etc. The planner can remove the name so there should be no reason why he cannot provide a sample for your review. Ask for a quick turnaround time so less ethical planners have less time to doctor a plan. When you review a plan, make sure it covers all three phases of your financial life: Working years, retirement years, and the distribution of your estate. The plans should also include: Asset accumulation, asset preservation, tax minimization, income requirements, and risk management to name a few. More sophisticated planning software also has Monte Carlo simulation capabilities so you have some idea of the probability you will achieve your financial goals. Whenever possible you want to select the financial planner who provides the greatest range of choices when you implement the plan. You do not want to be limited to one company’s proprietary products. You want to be able to select the best products from the best companies. Watch-out for references. No financial planner will provide bad references. And many of their references are friends or clients who have been coached to make the right statements. If you are going to rely on the input of references make sure you ask questions they may not have heard before so you get more reliable answers. 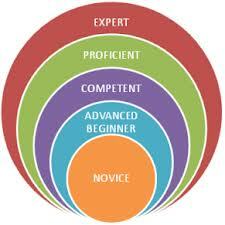 There are three primary certifications or designations for financial professionals who claim to be planning experts. Certified Financial Planner™ (CFP®) is the most recognized one. Chartered Financial Consultant (ChFC) is also a planning designation that is held by insurance agents. Personal Financial Specialist™ (PFS®) is held by CPAs who provide a range of planning and investment services. It is important to note, professionals can obtain certifications with very limited actual experience. If certifications are an important criterion for you, make sure you also know the professionals’ years of pertinent experience.